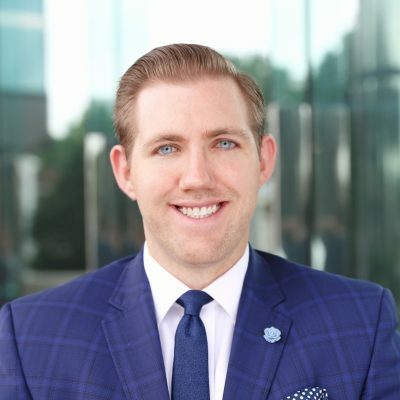 Prior to joining Henry S. Miller, Jake started his real estate career working for an independent Development and Brokerage firm, Bill Foose Company. Jake transacted over $2 Million of land acquisitions/dispositions along with providing retail buyer/tenant representation services. Before changing careers, Jake spent two years as an analyst for a Private Equity Firm, Integrita Capital Partners. During his time there, he focused on middle market, family owned manufacturing/packaging companies specializing in the Food Industry. Jake grew up in North Texas and was a competitive golfer through out high school. He attended Dallas Baptist University, and participated in the 5-year accelerated degree program graduating with a BBA/MBA in Finance. While attending DBU, he was heavily involved with the founding of the School’s first business fraternity, DBU Business Society. Leading to the creation of a Finance Club where money invested will be offered as scholarships for future business students. He also served as Treasurer for the DBU College Republicans.